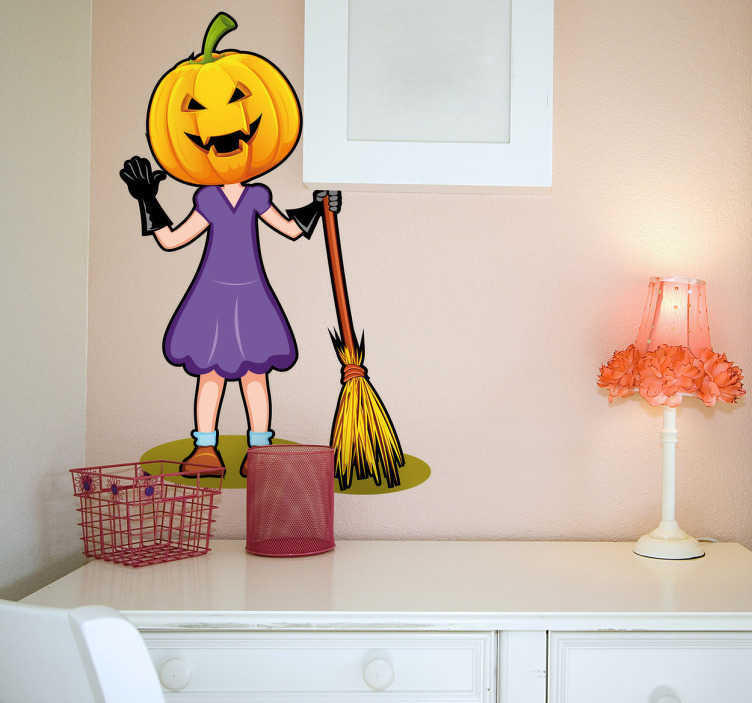 Sticker illustrating a girl dressed for halloween with a pumpkin and a broomstick. Perfect decal to decorate your home for halloween parties. Are your kids having a halloween party at home? Do you want a wall sticker that will create a great atmosphere? Then you are looking at the right wall decal for you. Available in different sizes. Easy to apply made with anti-bubble vinyl.